Before attempting to tow an RV or travel trailer, some preparatory work is in order. Not only is improperly towing an RV dangerous to yourself and other drivers, but it can also damage your RV or the tow vehicle. In order to ensure a safe trip for everyone involved, take some time to learn the ins and outs of how to tow an RV. Here are 10 RV towing tips to get you started. First and foremost, your tow vehicle must be able to tow your RV. Check your owner’s manual for a section that outlines exactly how much weight and how large of a vehicle your tow vehicle is capable of towing. Even if your RV is only slightly over the limit, never risk going over. In addition to the obvious danger, you will lose any insurance recourse that may have been available to you. Before you even think about attempting to tow your RV, thoroughly check all lines and hitch connections that hook up your RV to your tow vehicle. One overlooked cable can mean a serious disaster, so be extremely meticulous. You may also need to check your brake lights and turn signals if applicable. This is one of the most important RV towing tips, as a mistake can drastically affect other motorists. 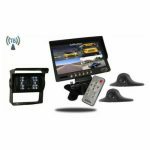 – Your vehicle hitch connections that hook up your vehicle to your tow vehicle. – Brake lights and turn signals cable if applicable, make sure they work! – Check your trailer hitch Quick Disconnect cable for your backup camera system and make sure it is plugged in and there are no cuts. Driving with a massive vehicle attached to your tow vehicle is an entirely different experience, and you need to be prepared for it. Go to an empty lot and spend some time getting a feel for the nuances required. Practice making turns, accelerating, braking, and backing up. Learning how to tow an RV is similar to learning how to drive all over again. Don’t learn on the road. These days, Digital backup camera kits are surprisingly affordable, so there’s really no reason not to have one. A backup camera allows you to clearly see what is behind or to the side of your vehicle, ensuring that you never hit something or someone. This simple investment can save you significant amounts of money down the line, so don’t put it off. 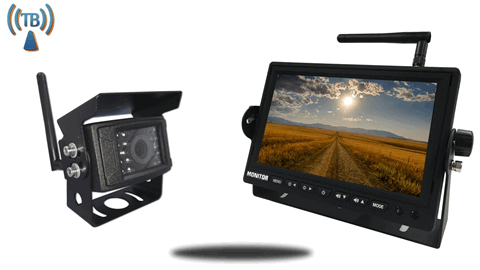 Here at TadiBrothers, we sell the best backup cameras available at prices that fit comfortably into your budget. 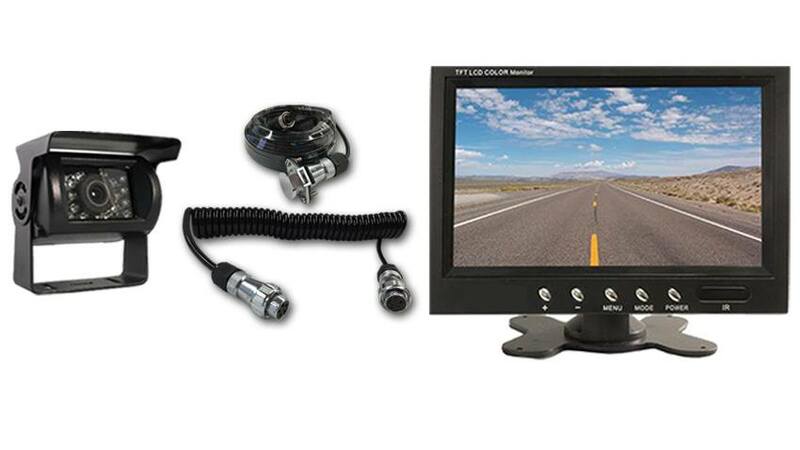 Introducing Quick Disconnect for Backup Camera Systems video. Before you attempt to tow your RV anywhere, make sure that towing is legal where you will be driving. Some states may require you to have safety features such as mirrors or backup cameras, so do your homework first. Nothing ruins a vacation like hefty legal fees and possibly even a court date. This is especially crucial if you are going to be driving in other states or countries. One of the most harrowing experiences that may occur while towing your RV is sway. This is when the RV veers from left to right as you are driving. If this occurs, avoid making any rash movements and try to stay calm. Try to safely come to a slow stop and pull over onto the side of the road. You may need to redistribute the weight inside of your vehicle or improve the connections. To prevent sway, avoid accelerating too rapidly, especially on downward hills. One of the most overlooked RV towing tips is to consider the weight inside the vehicle – not just of the vehicle itself. Many people check their tow vehicle’s owner manual to make sure that it is capable of towing the RV’s weight, forgetting that the RV’s weight is going to increase when it is loaded. Make sure that you consider the weight of the items inside the RV, and try to keep the weight distributed evenly to prevent swaying. It should go without saying, but you really need to readjust your driving style when towing an RV. Even if you normally consider yourself a safe driver, you can never be too attentive when towing a large vehicle like an RV. If you are feeling tired, stop somewhere to rest or have someone else drive if you have a partner. You may want to stay in the slow lane and try to make your journey slow, steady, and as simple as possible. Before you leave, you should be familiar with your hitch and all connections. 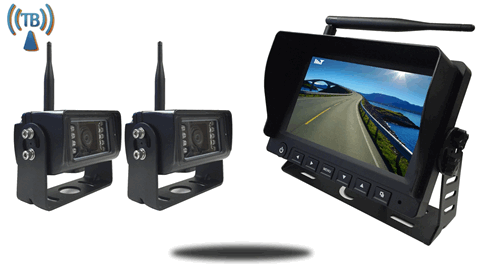 You should be comfortable using your backup camera. Make it a point to regularly check on everything to make sure there are no problems. Create a thorough checklist, and stop regularly to perform maintenance as needed. Many hitch systems have multiple components that can come loose, so take a few moments every so often to establish some peace of mind. As you learn about how to tow an RV, you will realize that safety is the most important factor to keep in mind. While it may seem like a fun idea to bring friends or family along in the RV, you should never do so. Even the best laid plans can go to ruin, and it is imperative that you never put your loved ones at risk. Additionally, people can offset the weight distribution, which can cause swaying while you drive. Failing to take every possible precaution can have serious repercussions. The first time you tow an RV is inevitably going to be the most difficult, so make sure that you don’t overlook any details. 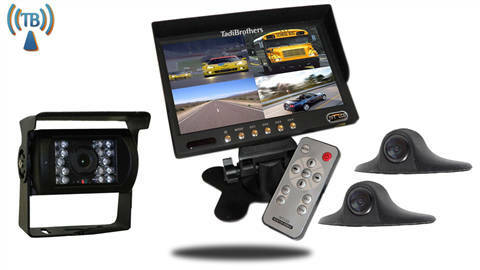 Here at TadiBrothers, we sell the highest quality backup cameras in the industry at prices that you can afford. 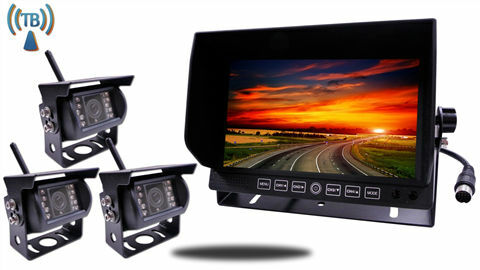 Our cameras are highly rated by experts, and they will make your trip far safer, easier, and more enjoyable overall. Our experts are happy to advise you on the right backup camera for your needs, so give us a call at (866) 966-5550 today.